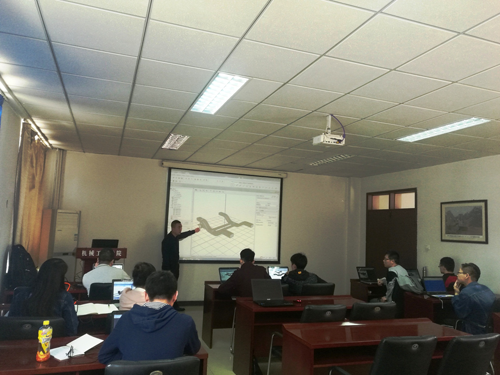 April 14th-16th three-day training Advanced application in railway industry of UM Software took place for Dr. Tian Xinyu and his colleagues from Infrastructure Inspection Research Institute of China Academy of Railway Sciences (CARS) at Sichuan Tongsuan Technology Co, Ltd. 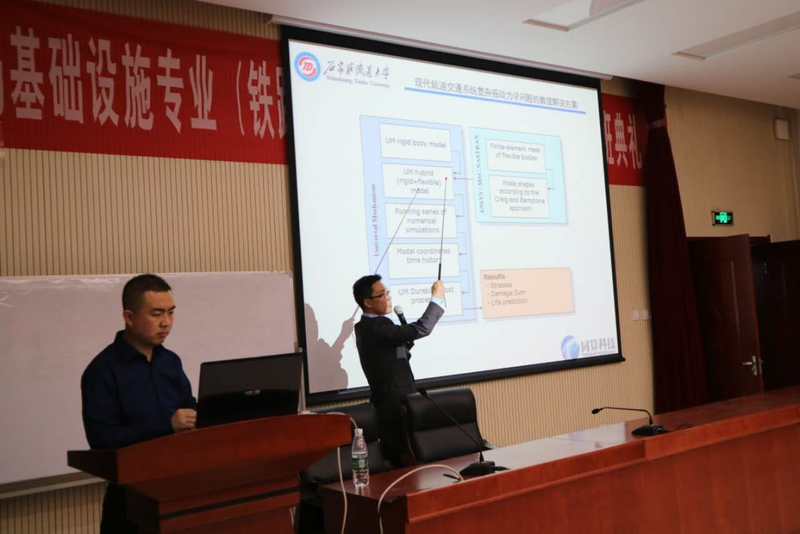 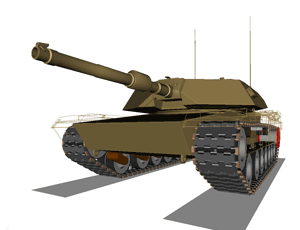 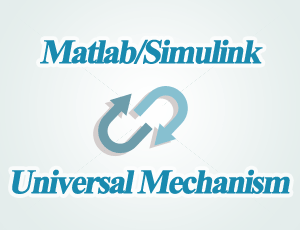 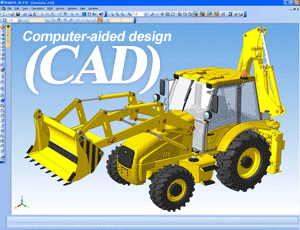 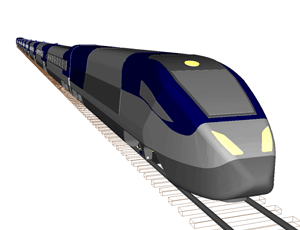 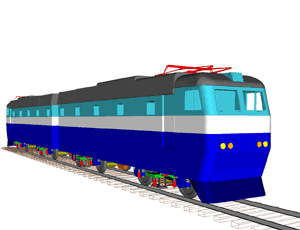 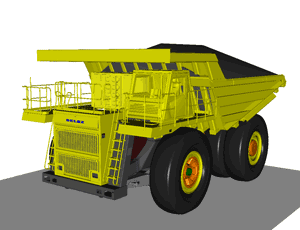 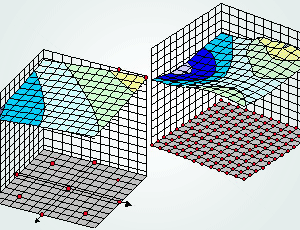 The training course was designed according to the specific demands of the users, including railway vehicle dynamics, rail/wheel profile wear, railway train-bridge interaction, railway train-track-bridge interaction, flexible wheelsets, and monorail train-flexible beam interaction. April 24th, Mr. Lei Qiang (CTO of TongSuan) was invited by Dr. Qi Zhuang from Shijiazhuang Tiedao University (STDU) to make an academic lecture Numerical Solutions for Complex Vibrations & Mechanics of Modern Railway Transit at School of Mechanical Engineering. 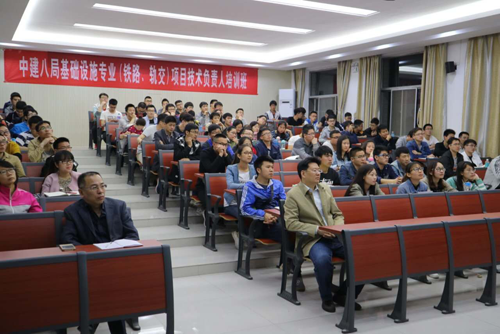 More than 100 visitors from School of Mechanical Engineering, School of Civil Engineering, School of Traffic and Transportation took part in the lecture. 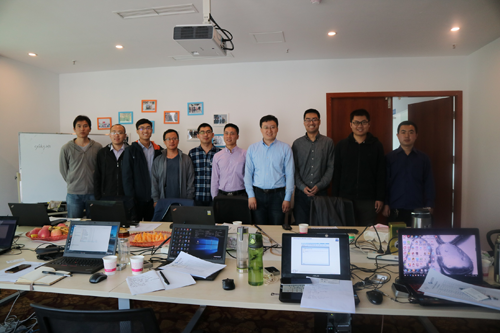 April 25th-28th, Mr. Lei Qiang and his colleagues held a training course for UM users in STDU. Since March of 2017, Mr. Lei’s UM Team have finished some other private custom training courses for our users at their working place. 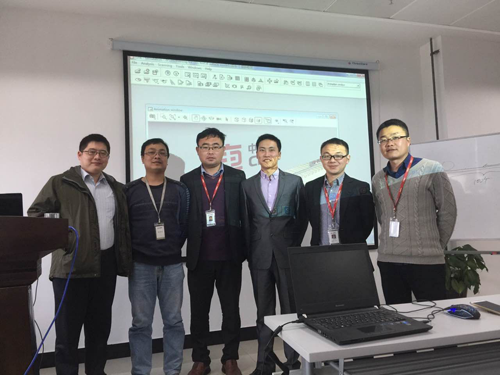 CRRC Zhuzhou Times New Material Technology Co., Ltd.
Our authorized partner – Tongsuan Technology Co., Ltd. – having about 10-year experience provides customized training courses in China.